Click the Join Now Button above to get your NO-COST membership to “Step by Step” Airbrushing Tutorial Videos. This is a LIMITED Free Membership! If you are interested in taking our Airbrush Classes, then click on the banner below here, or visit the page marked “Airbrush Class Schedule” to get more information. What All Does Airbrushing In Kansas City Do? We can do it all, and more importantly you will be able to afford us. This is NOT the all hyped up shop that thinks they have to make a huge profit on every single job. We believe in doing to others as we want them to do to us. To us, we would rather make a little on a lot instead of a lot off a little. Here at Mike Pilcher Customs we will turn your dreams into reality. Custom Painting and Custom Airbrushing is our specialty! 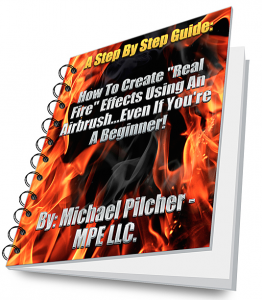 Click Here and then Click the “LIKE” button on our Facebook page and get a free eBook on how to do real fire. This is the place to bring all of your custom paint, and airbrushing jobs. We have the experience, and the knowledge to give you exactly what you have been dreaming about. 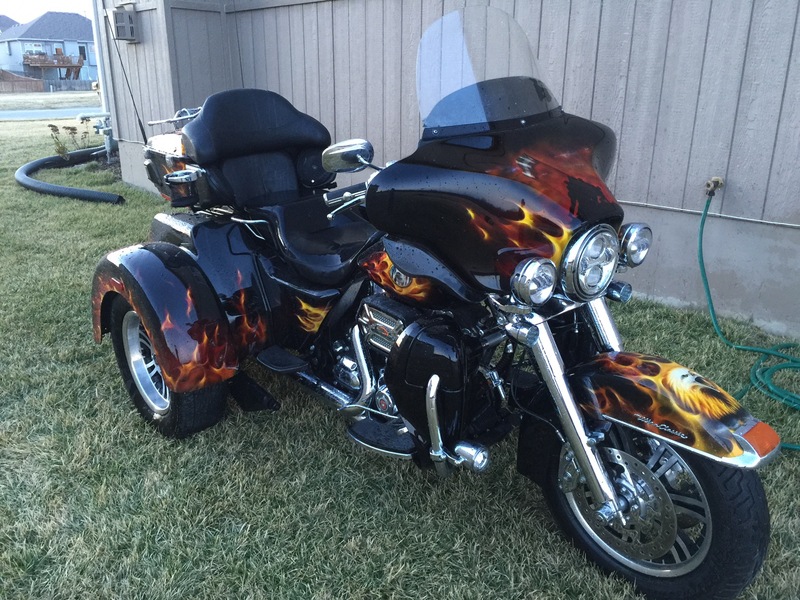 Below is this months featured Harley Davidson Tri Glide. This was a plain black paint job and then we completely started over with new base-coat paint and added artwork to that before giving it a final of 5 coats of PPG clear-coat for the ultimate finish, protection, and shine. You can Click on the picture below for it to blow up larger. You can also Click Here << for more pictures of each panel of the Harley with more angles and details. 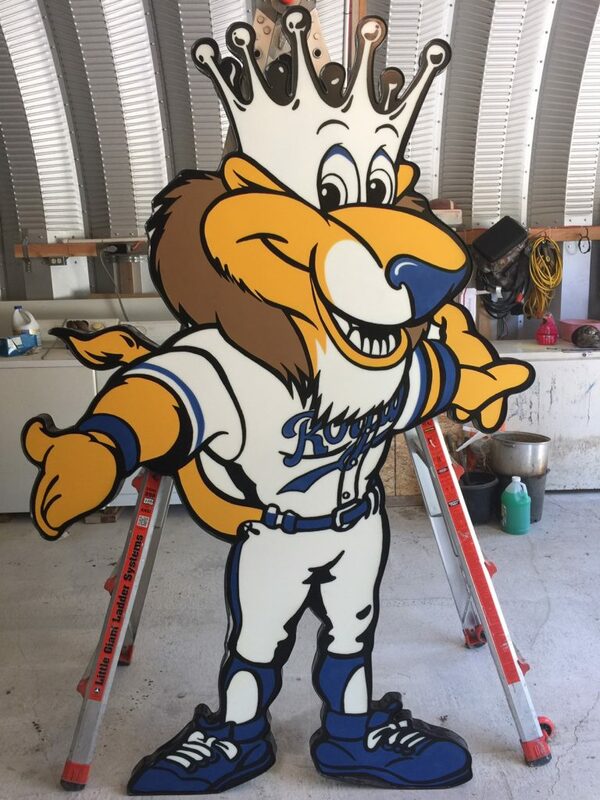 Below you will see the “Slugger Sign” that I just finished 06-30-17 for the Kansas City Royals. This was a fun project much different than what we usually do. Make sure you check out the other pages on this website, like the “Motorcycles” page, as well as the page marked “Blog” for other step by step projects, videos, etc.